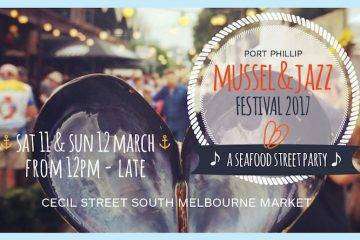 Melbournians love their markets whether it’s a Sunday market, food market, or a one off specialty market, there are always fresh produce and treasures to be found. There is no shortage to the markets available in Melbourne, which made this list a toughy. Below are 5 markets that have quickly become my personal favourites in the Melbourne and surrounding suburb area. 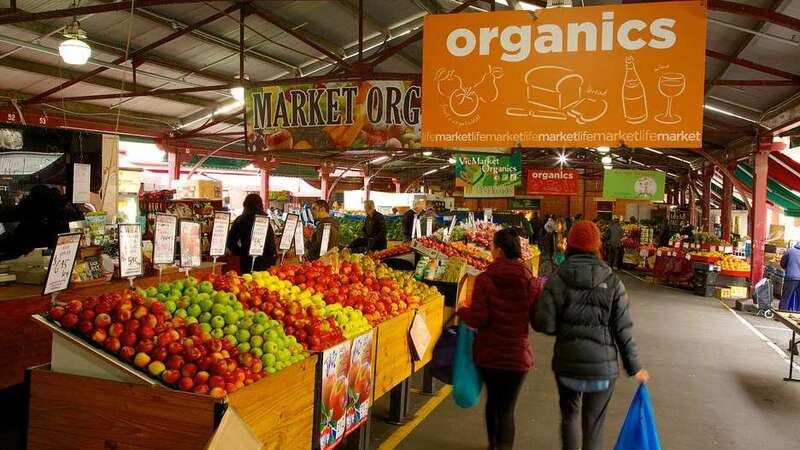 The South Melbourne Market is probably one of my favourites for a one stop shop for produce and finding one of a kind items. 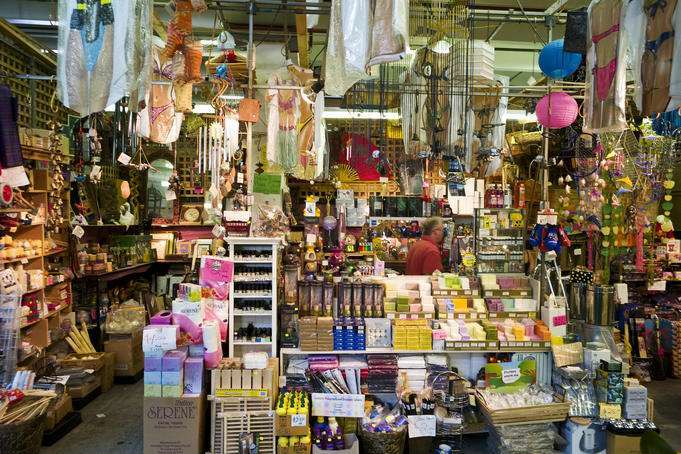 You can find everything from butchers, produce, bakers, fishmongers to fortune tellers, barbers, florists and clothing shops. 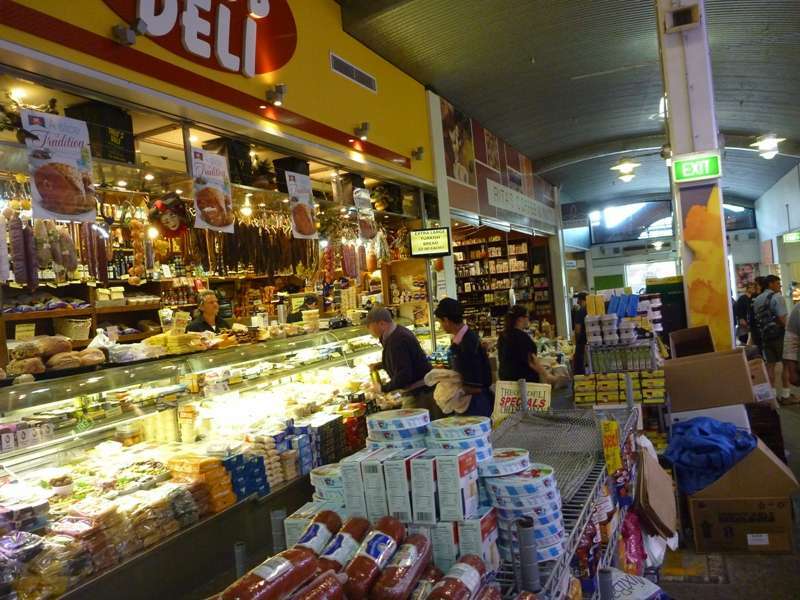 Shopping isn’t the only thing the South Melbourne Market has to offer. Enjoy an endless amount of food from around the world, coffee at its finest and cooking schools for those looking to broaden their culinary skills. Every Thursday night, watch as the markets come to life as they stay open late. Enjoy live music, food, wine, arts and fashion from 5:30pm from October to December. I’ve found that hitting the market on a Sunday afternoon (right before they close) is the best time to find some real food bargains. Since they are closed Monday and Tuesday’s, prices tend to be slashed for quick sales. Although you probably won’t find the best produce (as most of it will already be picked through), meat and seafood tend to come at a good price on Sunday afternoons. A close second in the produce department is the Queen Victoria Market. This is where you will find all the locals buying their fresh produce, meat and fish from. This is my go to place for European cheeses and the best cured meats in the Melbourne area. 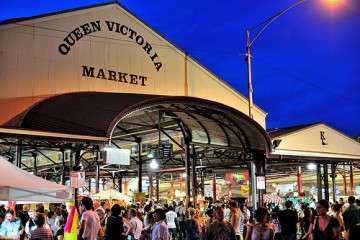 Still housed in the beautiful original city market building established in the 1870s, the Queen Vic Markets have been around for decades. It’s almost worth a visit just to experience the hustle and bustle, the roar from the crowds and the traders yelling out their prices to you. 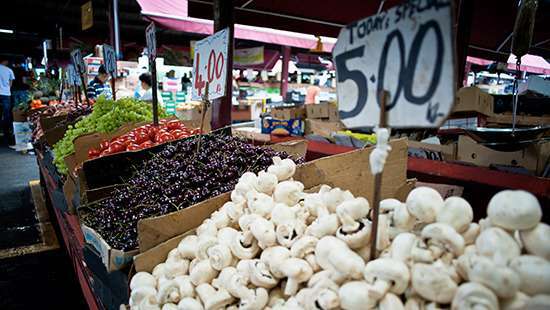 Like any proper market, food isn’t the only thing Queen Vic Markets have to offer. Get lost while making your way through aisles of stalls showcasing leather, sporting goods, bargain deals and designer Italian goods. The Wednesday Night Markets are also a big hit for locals and Melbourne uni students. Cheap eats, live entertainment and great bargain deals on candles, sweets, clothes and the likes. 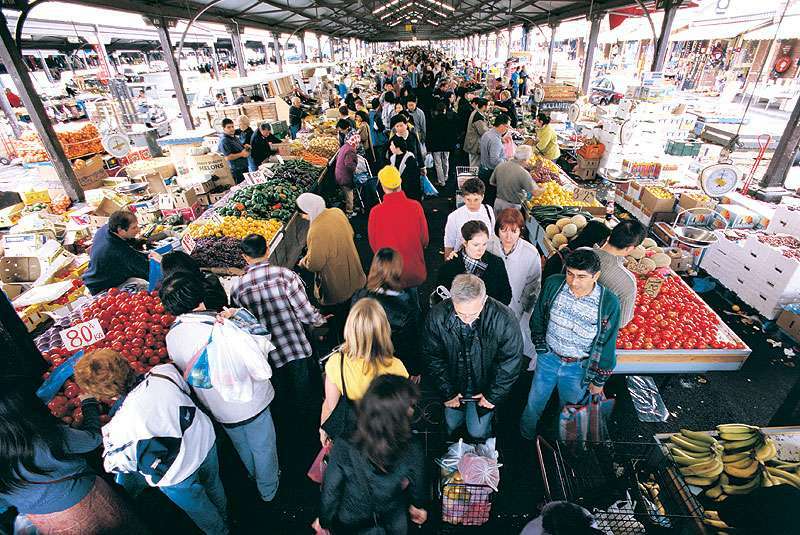 The market runs from December through to March and is something you must visit at least once a year! This is the mecca of second hand markets! 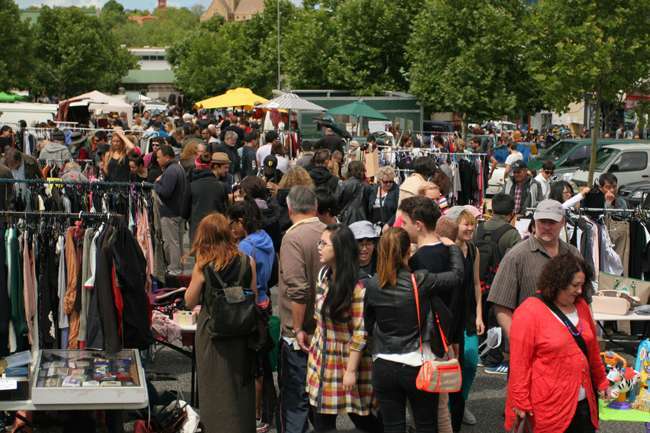 It is definitely worth the trip to Camberwell to stroll the aisles of more than 370 unique stalls. Everything from pre-loved and never worn before goodies from several decades ago can be found here. Think of it as someone who has FINALLY decided to clean out their closest after many years and deciding it’s time to pass along those ‘fashionable’ items. Clothing isn’t the only gem you’ll find here. Everything from furniture, books, collectibles and homemade items are all on display. It’s so true that one person’s trash is another person’s treasure. 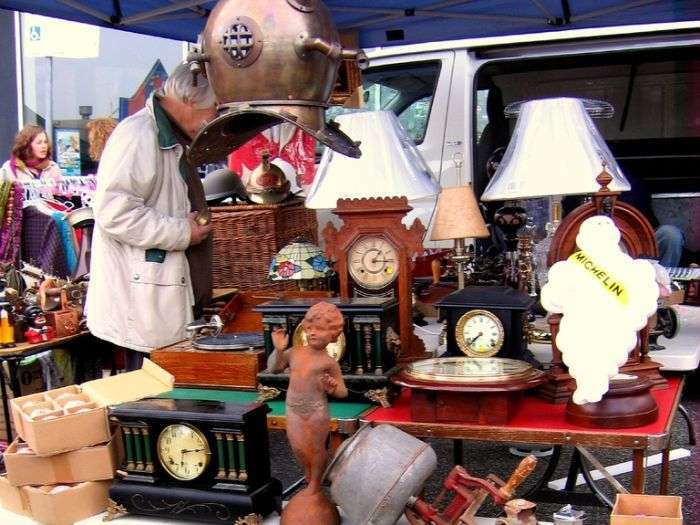 Even if you aren’t here to buy anything, it’s always a fun way to spend a morning looking at some great antiques. With any market of this nature, it’s always luck on whether you will find something good. You can’t come here expecting that you will find some great pieces. It involves some serious searching and digging to find those hidden gems. The best part of this market is that it raises funds for a wide range of charities in the community. In total, they have raised more than $9 million in funds towards these charities, which is very impressive! This one is for those who are looking for hand crafted, one of a kind designs from artists and local designers. 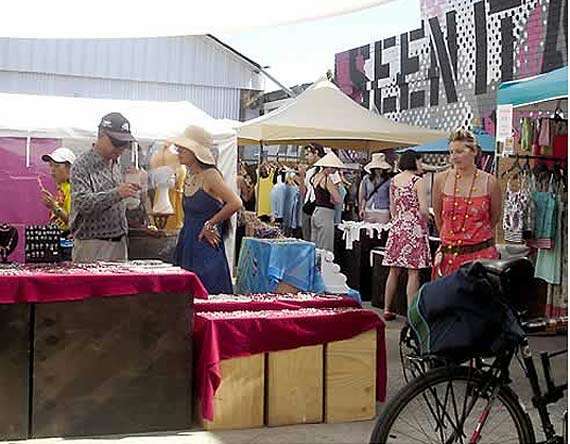 Each Sunday Fitzroy comes to life as Melbournians flock to the area to check out some of Melbourne’s most exciting artists as they display their goodies. 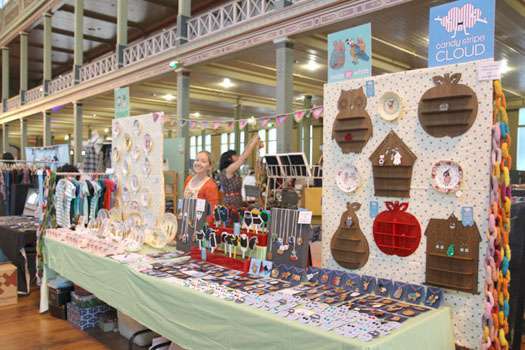 With an amazing 70 plus artists and Melbourne designers, this is where I recommend those to go for beautiful, innovative and genuine arts & crafts. Each week showcases a different group of artists, which is a great way to keep locals returning week after week. 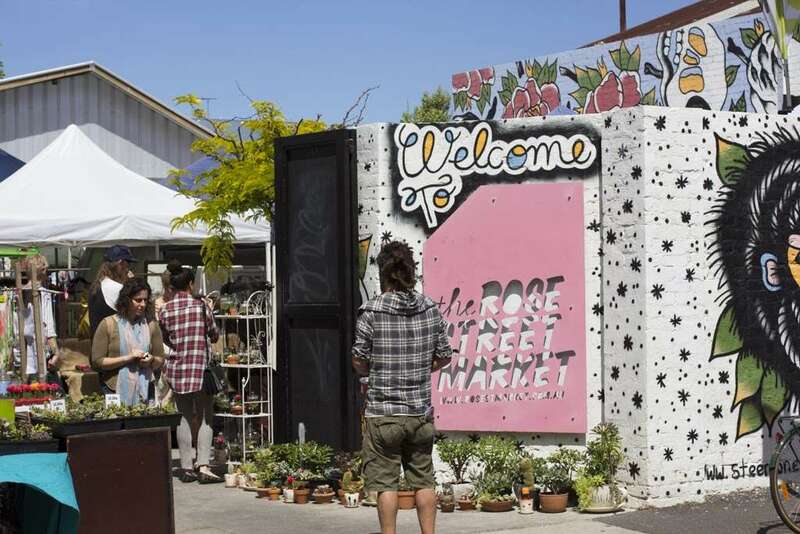 Inspiration for the Rose Streets Artists Market came from overseas big city markets in New York, London and Berlin. The markets originally started for artists to showcase their beautiful works of art to the public directly instead of consumers paying hefty mark ups from buying it in retail shops. It is also a great way for the artists to sell their own products and engage with the locals about their true passion for their products. You can also buy lunch or coffee in the gourmet café and listen to beautiful local live entertainment. Although this market only happens twice a year, it’s still one of my favourites and definitely needed to be in my top 5 markets to visit! 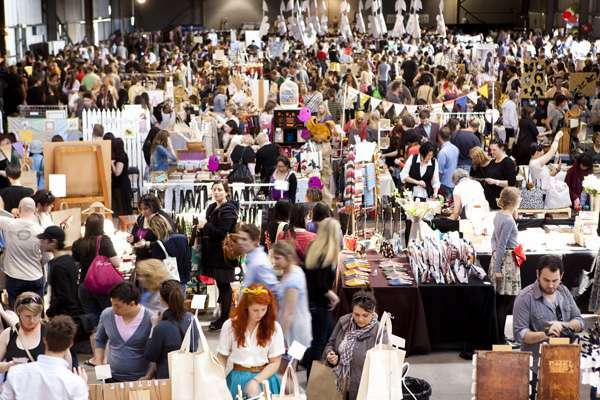 The Finders Keepers Market is the mecca of all crafty, chic shows, which showcases Spring/Summer & Autumn/Winter shows in Melbourne, Brisbane and Sydney. The Royal Exhibition Building, in the Carlton Gardens, serves as the perfect house for this unique Melbourne market festival. High ceilings and a rustic atmosphere work perfectly for this shabby/chic event. 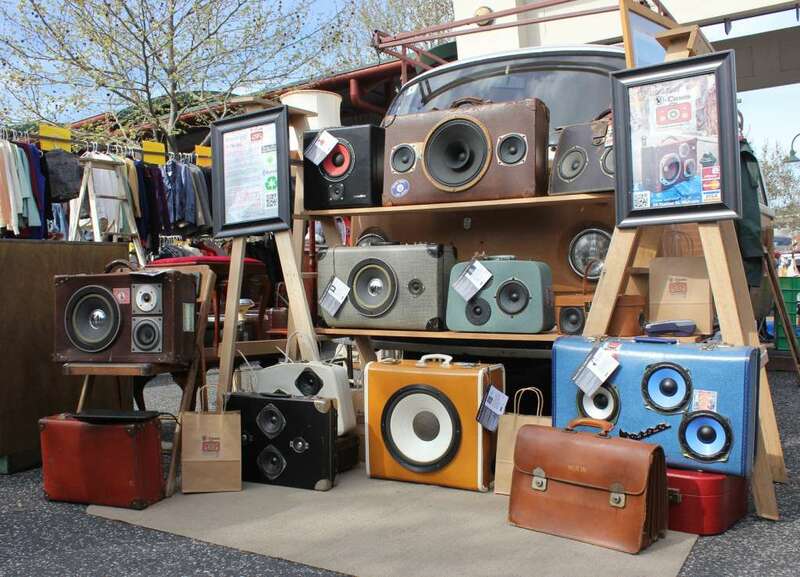 With more than 220 stalls, featuring vintage pieces, housing goods, stationary and hand crafted jewellery are just a few of the many gems you’ll find here. There is always such a great vibe when entering the building, with the sound of local bands playing in the distant. They have covered every aspect including food and drink stalls (including alcoholic beverages) to ensure you make the most out of the market during the two day event.